In Sashiko Mending, we usually prepare the swatch to cover the hole or torn damaged part with Sashiko stitching. We prefer to use the Japanese denim (made in Hiroshima Pref.) and Indigo cotton fabric. This is a set of 3 Denim swatches and 1 Inigo cotton swatch. 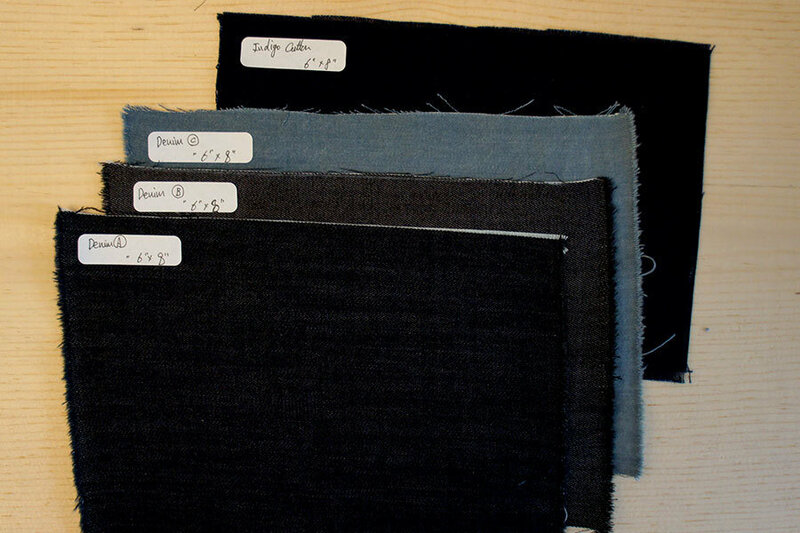 Indigo Dye Cotton Fabric | About 6" x 8"
Denim Original Fabric | About 6" x 8"
Denim Modified Fabric | About 6" x 8"
Denim Chemically Modified Fabric | About 6" x 8"
*This item is currently out of stock in Japan. If you are purchasing this item to be shipped outside of the USA, it may take extra days to deliver. If you would like to find out the detail, please contact me first. You may perform the Sashiko stitching prior to the mending to maximize the Sashiko Mending Experience. Please refer the article for the Sashiko Mending Tutorials.